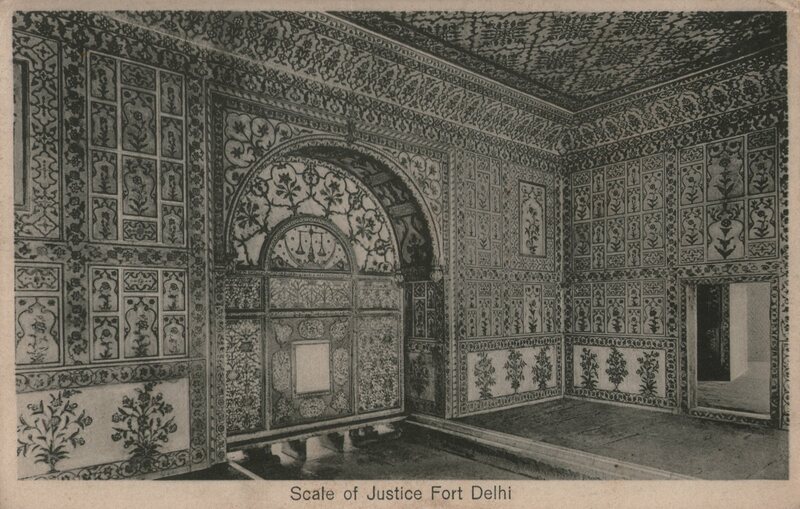 Interior of Saman Burj and the Scale of Justice. 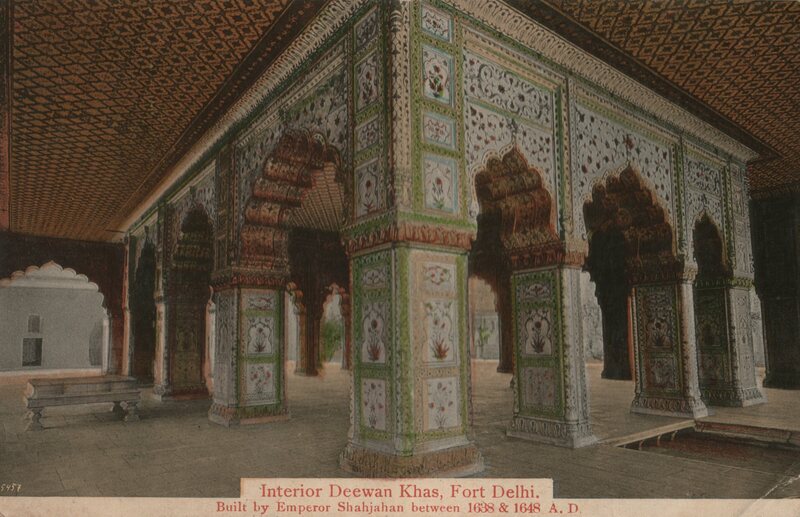 The Interior of Diwan Khas, Fort Delhi (India). 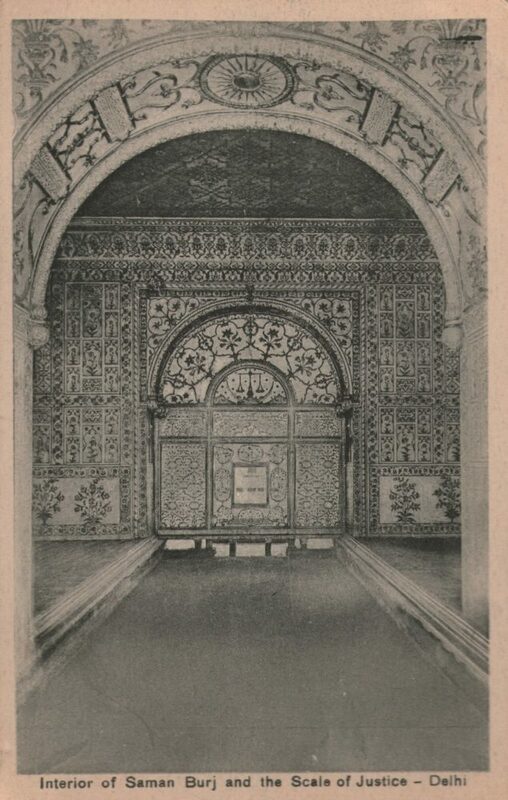 Built by the Emperor Shan Jahan between 1638 A. D. and 1648 A. D. In this Hall was the famous peacock throne worth of two hundred million. It is called that the figures of two peacocks standing behind it, their tails being expanded and whole so inlaid with sapphires, rubbies, diamonds, pearls and other precious stones of appropriate colour as to the represent life. 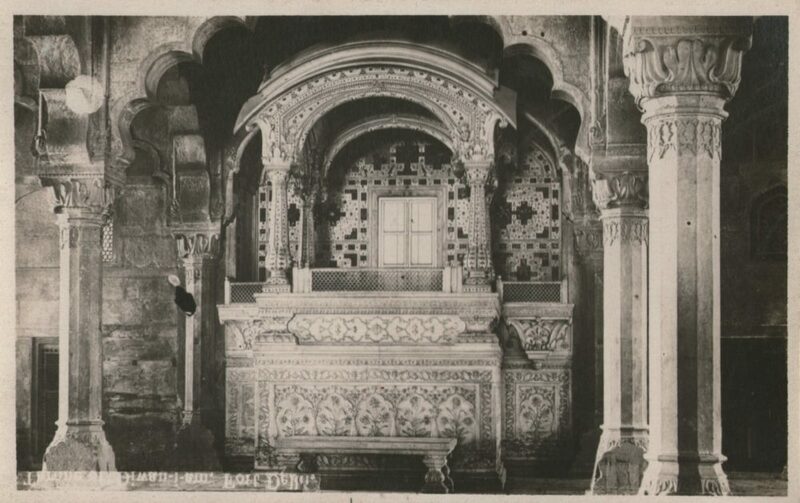 Marble Throne, Diwan-i-Am (public audience hall). 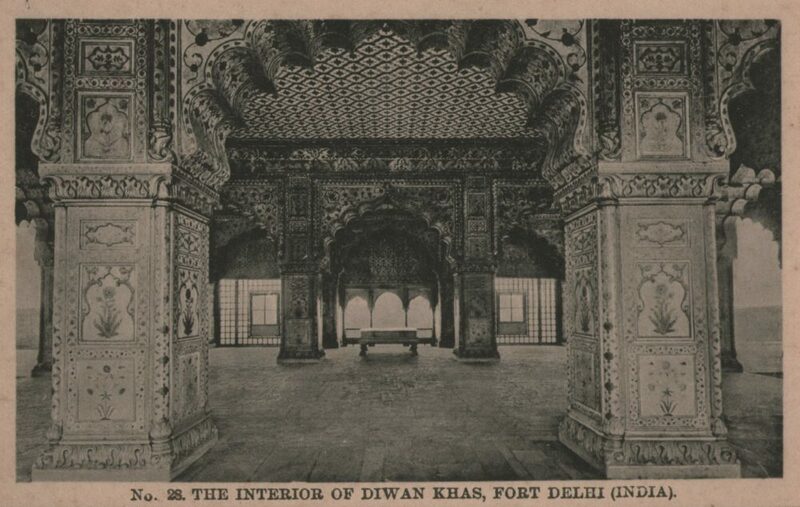 More images of Diwan-i-Am on Wikipedia Commons. 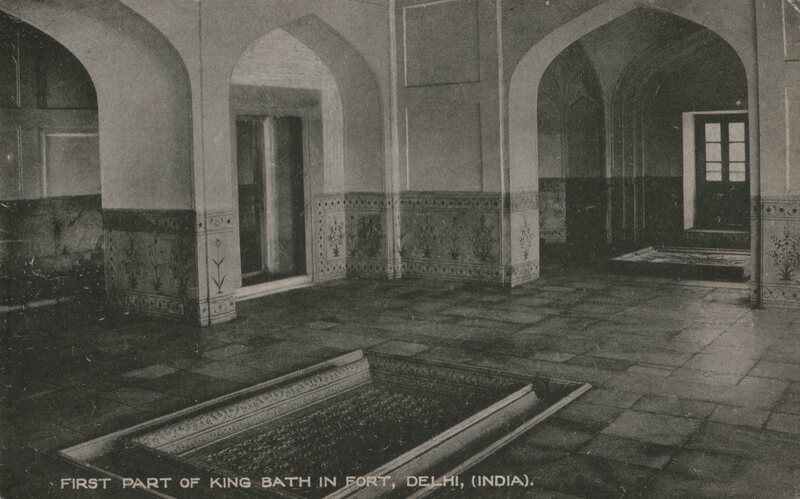 First part of King Bath in Fort, Delhi, (India). 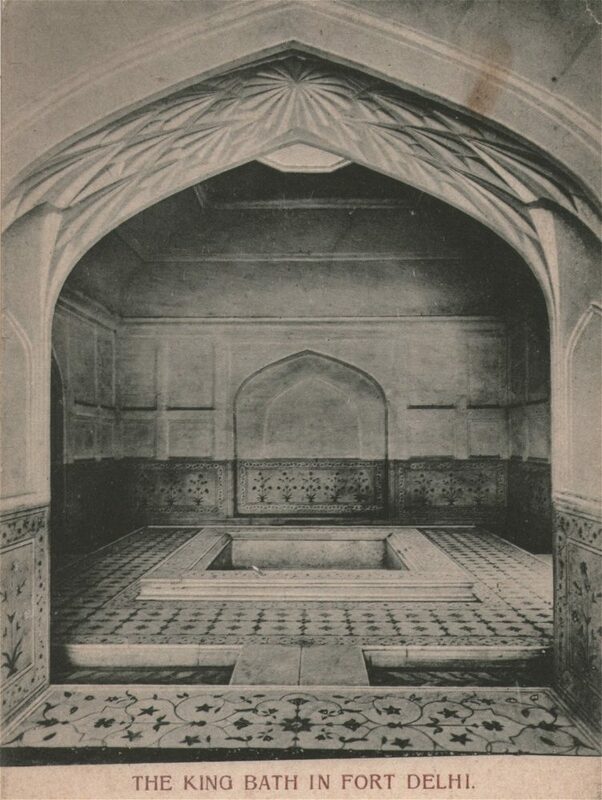 The King Bath in Fort Delhi. Interior of Saman Burj and the Scale of Justice: Not sure. Maybe 1920s. 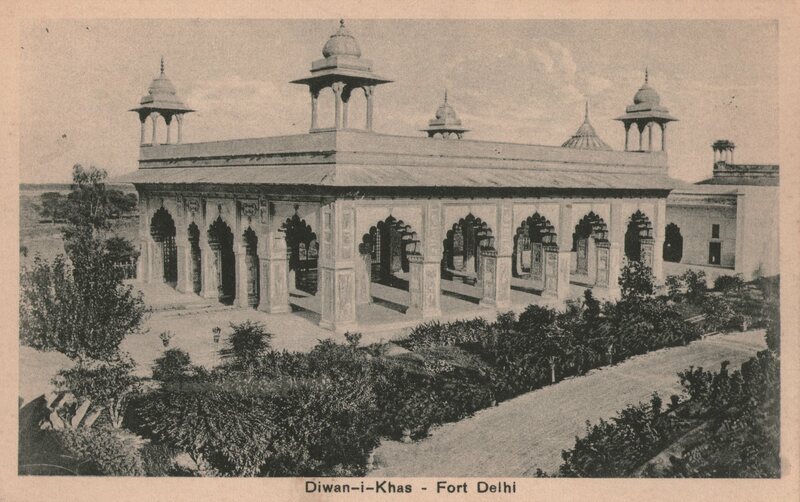 Diwan-i-Khas – Fort Delhi: : Not sure. Maybe 1920s.